This COSHH Symbols / Hazard Pictograms Poster is an A3 laminated poster that displays the new COSHH Hazard Symbols. Due to a change in regulations, a new classification and labelling system for hazardous chemicals has been introduced using pictograms. The new pictograms are in the shape of a red diamond with a white background, and will replace the old orange square symbols that applied under the previous legislation. Since 1st December 2010, hazardous substances and mixtures began to get labelled according to new legislation; hence, displaying new hazard pictograms and COSHH symbols. It is important that all users of hazardous chemicals are familiar with these red and white hazard labels so that they are aware of the dangers and risks that any given product may present to them. 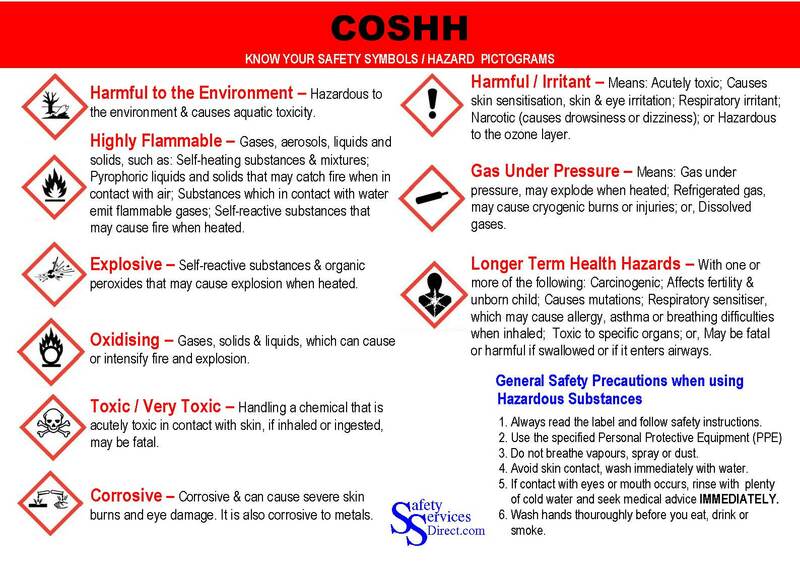 Our COSHH Hazard Symbols Poster provides a clear and concise interpretation of each pictogram and its meaning in a handy laminated A3 size, which is ideal for putting on walls and in small spaces such as cleaning cupboards where this information is most relevant. 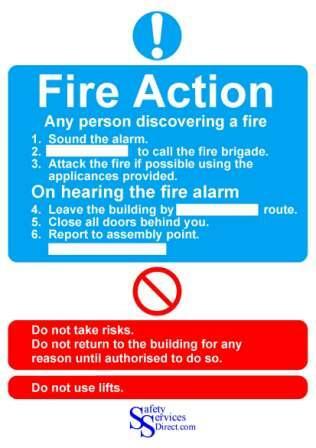 Buy COSHH Safety Posters online, next day delivery available.